As technology advanced over the years, bits becomes 3D polygons. Games evolve from playing for points to complex storytelling that linger in our mind. As gamers, we have gain newer interests and kept an open mind to try, accept and possibly love something new games have to offer as time went on. 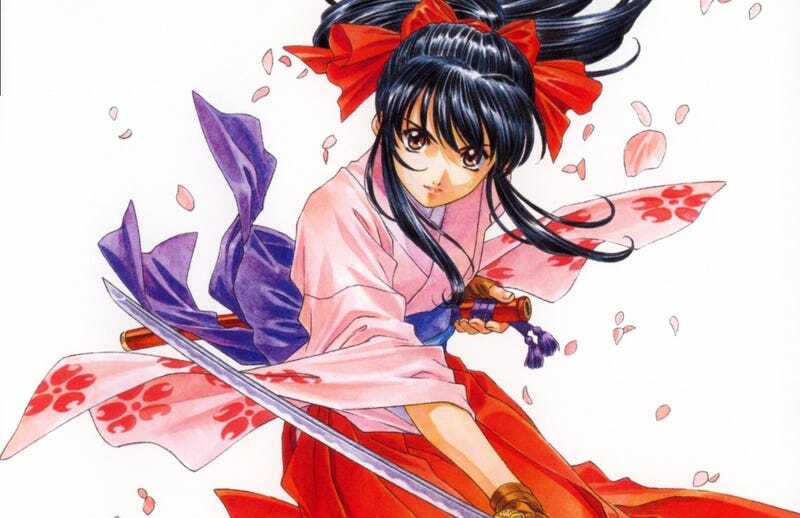 I thought it was the best time to share a franchise that I seem to enjoy but never fully love as the rest of the series has remain dormant in Japan for so long, Sakura Wars. Sakura Wars (or Sakura Taisen) is best described as a combination of visual novel/dating sim with the other half being a tactical Mecha combat RPG, set in an alternate history 1920’s Tokyo, Paris and New York with Japanese masterclass-level writing, voice acting, art and music with the pride of strong characters in true Japanese fashion. Kicking off in 1994, gaming renaissance began with SNES bringing Nintendo to delivering the very best of gaming, Playstation popularize the concept of 3D-polygons and high production developments and Sega halt producing add-ons and instead creating a new console; the Sega Saturn. On the other hand developers also began to explore their concepts and creativity with no limits to hold on. Following the same year in Sega HQ, Shouichirou Irimajiri (VP at Sega) made a phone call to well regard writer/producer Oji Hiroi who is also the founder of Red Company. Irimajiri wanted to fill the adventure game gap in the first-party lineup, thinking Hiroi and Red Company would have the creative talents to deliver something to compete with other games in that genre. Hiroi then agreed to the idea and instantly the two started collaborating and at a furious pace ideas began to fly off. Beginning with Hiroi’s first (and grand) contribution to be a scroll of his own calligraphy, representing a poem that describes the tone of the project. Resulting in them imagining what the characters would become, how the scenes will play out and stumbling upon tabletop war game being played in the office, resulting into the addition of tactical combat. Early on in production, they recruited legendary manga artist Kousuke Fujishima (of Ah! My Goddess fame) as character designer and famous anime composer Kouhei Tanaka (of Gunbuster fame) to provide the score for the project. Not only that Fujishima wouid also bring Hidenori Matsubara (of Neon Genesis Evangelion fame) to help with huge amount of in-game art and animated sequences while Futoshi Nagata assist in designing the Mech. Continuing the all-star recruitment, writer Satoru Akahori (of Saber Marionette fame) was brought on board to write the scripts that would best suit him. As he mostly had experience with writing for anime, the game would be fitting of an episodic format, where each end of the episode would show a preview of the next episode. A little fun fact, as Akahori wrote, Hiroi edited, to make sure the script could fit into his game world. This resulted into four games worth of script which is then cut down to the very best materials. You know you’ve done something good to get that response from gamers to make the game sold on launch day. After the all-star recruitment and process, development took the double the unexpected amount of time with further delays. Fortunately the game was released in September of 1996. What was originally seen as hugely over ambitious project that is doomed to fail, but instead became one of Sega’s beloved franchise but also a huge hit, selling out the morning of its day 1 release in Japan. As I mentioned before, Sakura Wars is both a visual-novel and a tactic mecha combat RPG. Players assume the role of Ichiro Ogami, young and fresh out of military with the special ability to ride and control giant robot (Koubo) was sent to lead a group of all female robot riding units who specializes in defeating demons popping out of 1920’s Tokyo. Of course if there were no trouble in the area, by day he is just the ticket guy for the theater as cover and using the free time to interact with the characters. First off, adventure mode. During the first half of each episode, players are able to explore the theatre (and later sequels outside and beyond) and interact with six (again numbers increase overtime) leading ladies that fits every of the bishoujo tropes. Of course these little interactions occur with the real time system known as the Live Interactive Picture System (LIPS), segments where players were given multiple options to choose that could affect their mood and character development both inside and outside of combat. Secondly, combat. Combat takes place in the second half of each episode, players may now control their characters in giant robots known as Kobu. Like most tactical role-playing games, players are able to give commands to all squad members from attacking, guarding and healing. Now usually I would’ve ended most of the talk in just one article but knowing that Sakura Wars is just a ginormous (ridiculously huge) franchise, we haven’t even touch on the anime, merchandise and the future of the series. With that I’ll be writing part 2 (probably), as we explore the evolution from the third and onwards in the series in gameplay, the influence of Skies of Arcadia in the game and finally the Sakura Taisen World Project that never fully fleshed out to the western audience. So with that, I hope to see you again.